Yet again, totally by accident, I have discovered another supremely talented musician - the mellifluous Loreena McKennitt. A Canadian musician, she not only writes her own music, she plays the harp, the accordion and piano. And her voice – words cannot describe the purity and clearness. Of Irish and Scottish descent, McKennitt was born in Manitoba. After developing a passion for Celtic music, she learned to play the Celtic harp and began busking so as to earn money to record her first album. She is known for immersing herself in extensive research of a country’s folklore, geography and culture before she begins any composition. Her music is inspired by different regions of the world, from Ireland to Spain and Arabia, including the cultures found along the Silk Road, echoes of which can be found on her album, ‘An Ancient Muse’. Sadly, in 1998, McKennitt’s fiancée, Ronald Rees, his brother, Richard, and their good friend, Gregory Cook, drowned in a boating accident. Later that year, McKennitt founded the Cook-Rees Memorial Fund for Water Search and Safety. Following the tragedy, she significantly reduced her number of public performances, and did not release another album until 2006, which was ‘An Ancient Muse’. What I especially like about McKennitt’s music is her use of literary works as lyrics, including ‘The Lady of Shalott’ by Alfred Lord Tennyson; ‘Prospero’s Speech’ from Shakespeare’s ‘The Tempest’; ‘The English Ladye and the Knight’ by Sir Walter Scott; and ‘The Highwayman’ by Alfred Noyes. It’s difficult to choose just one song for this post because, so far, I love all that I’ve heard. 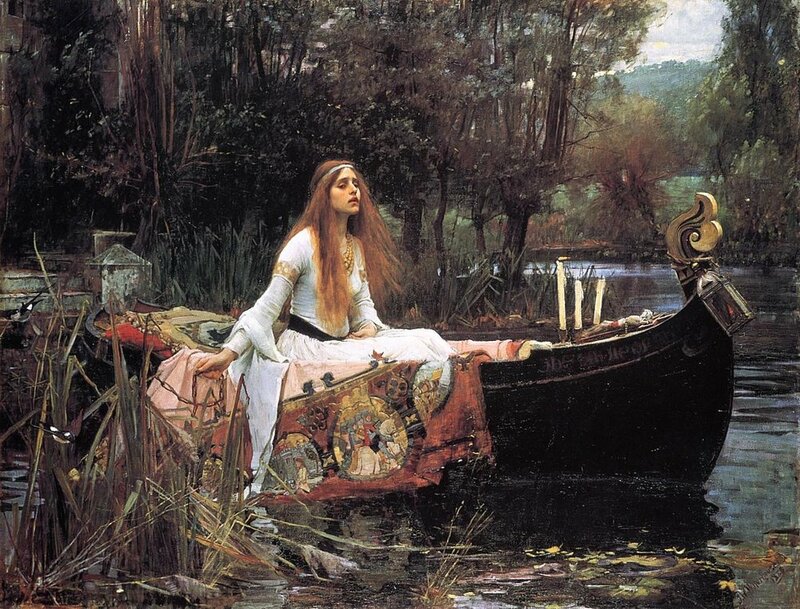 But I’ve decided on ‘ The Lady of Shalott’ because I love the poem.